Marianne (Childrens Leukaemia Association) enrols Nigel (Leevale AC) and Shane (Midleton AC) in an AWESOME way to run the Cork Half Marathon 2017. 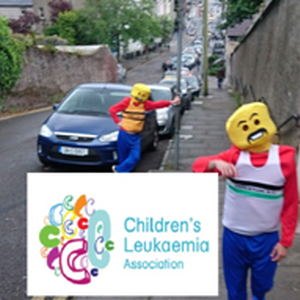 The LEGO RUNNERS ASK YOU TO CLICK AND DONATE AT https:gofundme.com/legorunners to help raise €1000 or more. All proceeds donated will be going to help the charity continue its service to very vulnerable children and their families.